Heeft u een vraag voor Gold Phu Quoc Hotel? 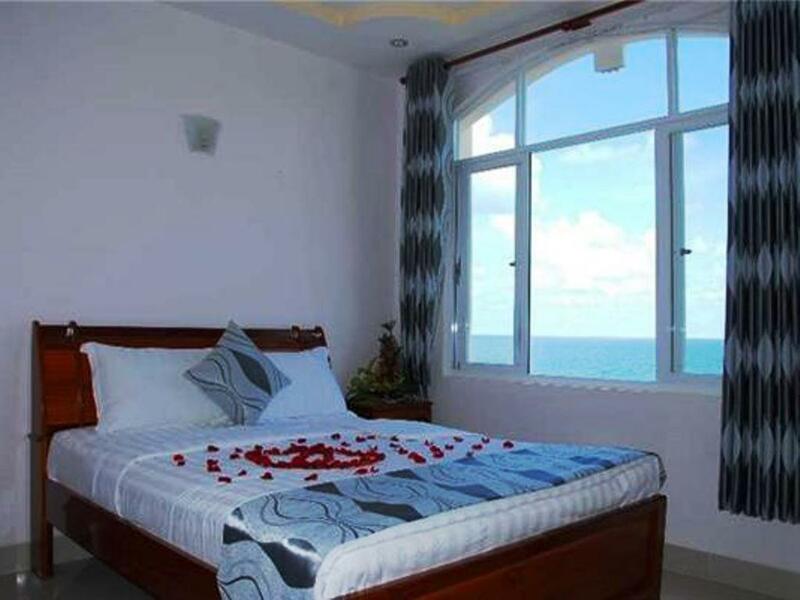 Gelegen in Duong Dong is Gold Phu Quoc Hotel de perfecte keuze voor reizigers die Dao Phu Quoc en omgeving willen bekijken. Het hotel ligt niet zo ver van het stadscentrum: de afstand is ongeveer 1 km en het duurt normaal ongeveer 15 minuten om het vliegveld te bereiken. Dankzij de praktische locatie liggen alle belangrijke trekpleisters in de buurt van het hotel. Profiteer van de ongeëvenaarde dienstverlening en voorzieningen in dit hotel in Dao Phu Quoc. Terwijl u verblijft in deze geweldige accommodatie, geniet u van faciliteiten als wi-fi in openbare ruimtes, parkeerplaats, roomservice, wasserij, conciërge. Alle accommodaties beschikken over doordachte voorzieningen om een ongeëvenaard gevoel van comfort te garanderen. Daarnaast garanderen de talrijke recreatieve mogelijkheden dat u zich tijdens uw verblijf kunt vermaken in het hotel. Geniet van ongeëvenaarde dienstverlening en de prestigieuze uitstraling van het Gold Phu Quoc Hotel. Room is clean. Hotel is near Duong Dong market, about 5 mins walking. There is a beach and some tables behind the hotel. How sweet for my honey moon!!! Had no paperwork for our booking and offered another room, which we took, and told we could change rooms next day. Next day told we could stay in the the room. Accepted on condition no extra charges which hotel agreed to. Would have been a problem if they had been booked out. Must have found our booking eventually and no request for payment at checkout. Great hotel and I have come back for the 2nd part of my trip. 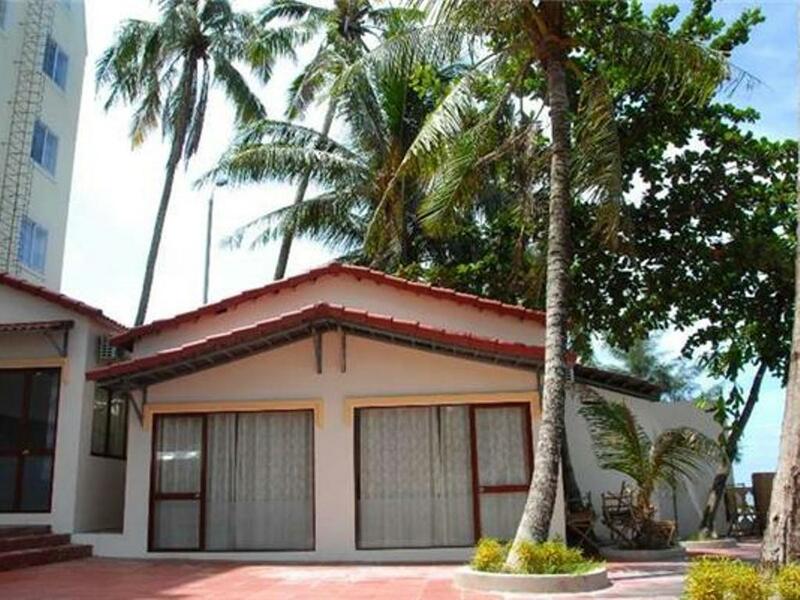 It is in the best location, right at the night market and close to everything you need. Dont do what I see other tired hot tourists doing and walking a distance in the heat etc back to their resorts and hotels or giving up and getting taxis. Not here, you are right where the action is and if you are an early riser, within walking distance over the bridge to the morning markets. As far as the beach goes in front of the hotel (or any resort etc in Long Beach or Duong Dong etc) not for me - too much rubbish but plently of Vietnamese do swim there, so your choice. The staff speak very poor English but it is only a problem if you find it a problem. Breakfast is not available but can be got from a nice cafe, 2 doors down, Safari, which do a breakfast deal. Tours easily organised outside hotel. I really think this hotel is in the best spot in town where everything is at your fingertips. Im so glad I didnt book further away where they talk about easy walk to Duong Dong, it would be a real pain! I had a great room overlooking the water and loved it. Clean budget hotel with friendly staff. Good wifi. No breakfast provide.Walking distance to the night market. It was a nice trip.We took vacation about 5 days,but the room too small and no refrigerator.However,the view of this hotel is really nice,and we love it.I would recommend everyone to this hotel. We were pleasantly surprised with this hotel! 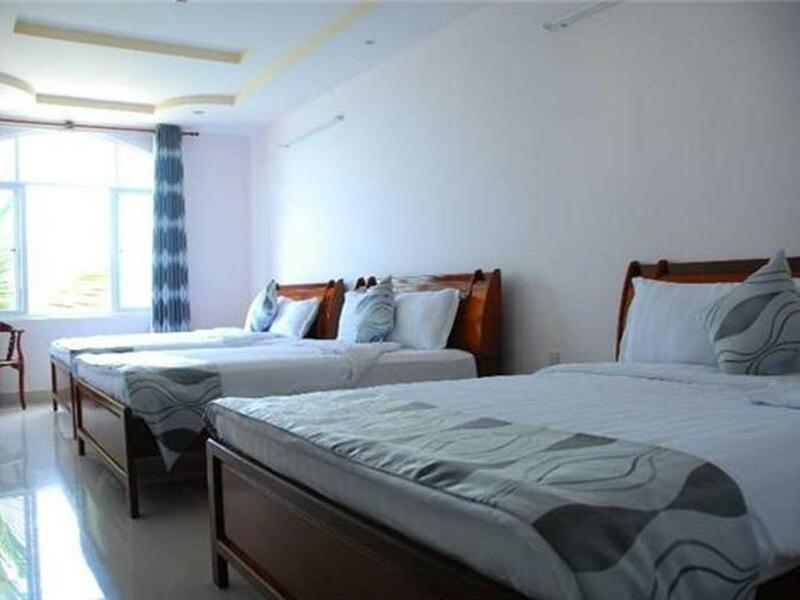 VERY clean room and bathroom and beds. Nice mounted flat screen tv. Fast in room wifi. Fridge. Very comfortable bed. Hot water. Elevator was broken but we didnt care - someone with disabilities may want to check this if not on first floor. Rented us a moped for 150,000 VD per day. Minimal English spoken by workers, but enough to get by. Close to night market, 15 minute walk to beach. Hotel has private beach but it's small and full of garbage. Just walk to the regular beach. Close to ATM and dive shop. Noisy on street side but we always went to bed so tired that we fell right asleep. I would stay again, we loved it there. Highly recommended even for the high maintenance travellers. You won't be disappointed. Be ready to walk places! Enjoyed being in the city but close enough to Long Beach if we wanted to be a part of the "full on " beach scene. We prefer a hotel in a quieter setting and this hotel filled the bill. Our room was small but had a very comfortable bed, good lighting and a TV with some English Channels. Staff were very helpful and friendly. Receptionist was not good during my check in and not professional.. Fairly new hotel situated close to town and the night market. Comfortable beds, poor WiFi, hot water in shower not always working, staff knows very little english which is not a problem unless you have a problem or need to get some information. I guess depending on room location can be a little noisy. Me entregaron una pieza distinta a la que reservé y sucia. Me la cambiaron por la que correspondía, pero sin asear nuevamente. La ventana del baño estaba en mal estado y se llenaba de mosquitos, cuando pedí que la arreglaran no se dieron por aludidos. Personal muy agresivo y la atencion muy mala. No tiene playa y la orilla que tiene esta muy sucia.